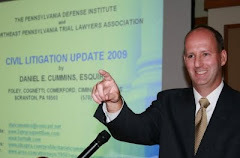 On July 26, 2011, the Commonwealth of Pennsylvania Court of Judicial Discipline in Pennsylvania issued Orders sanctioning former Luzerne County Judge Michael Toole and former Superior Court Judge Michael T. Joyce officially removing them from the bench and prohibiting them from ever holding judicial office again in the Commonwealth of Pennsylvania. The Court of Judicial Discipline filings and findings with regards to former Luzerne County Judge Michael Toole can be viewed here , here, and here. The Court of Judicial Discipline filings and findings with regards to former Superior Court Judge Michael T. Joyce can be viewed here, here, and here. Source of news tip: August 16, 2011 news article in The Legal Intelligencer by Zack Needles entitled "Court of Judicial Discipline's Order May Cost Joyce Pension."